I am not going to lie. Growing up, I was considered a pretty unruly child. I was that youngster who drove teachers crazy. I got check marks on my report card for “constantly talking.” In elementary school, my teachers developed a behavioral contract to try and reinforce any positive behaviors. I have to admit I didn’t always earn many rewards. Not that I didn’t try. I just found it hard to sit still and behave. I wanted to have fun, be the class clown and entertain my fellow students. I wasn’t really all that interested in learning. It didn’t get much better in high school. I’d say I went to school for homeroom, recess and lunch. I liked being social. I am the youngest of 11 children. I guess that explains a lot. One might ask how does someone who started off being so disruptive end up practicing Multisystemic Therapy (MST) for 18 years. Perhaps the answer seems simple, but in reality, it wasn’t very simple at all. I had good parents. This Father’s Day, I want to pay tribute to all those MST dads, who like my dad, work hard every day to ensure their children get on the right track. Like many fathers, my dad was a very hard-working man. He was a very humble man. He drove trucks for a living. In the summer months, he was gone from sunup to sundown. He had to work when the work was there. In those days, he didn’t have air conditioning in his truck cab. He would drive with his left arm out the open window to cool off. When he came home at night, we often teased him about his farmer’s tan, on one arm, no less. But no matter how hard he worked during the day, when he came home, he knew his job was to love and discipline his children. He set clear expectations for us about how we were to treat one another and treat our mother. He was clear that going to school, and in my case behaving, was what he expected of his children. Though he himself didn’t have an education, he instilled in us that education was the way to a better life. He wanted a better future for all his children. It was that foundation that helped to settle me down as I grew up (as much as I am settled) and helped me to understand that a parent’s job, though really difficult, is essential if children are to be successful. I remember when my father passed away. My brothers, sisters and I gathered around to tell stories and pay tribute to him. I was amazed to find out that each one of us thought we were his favorite. 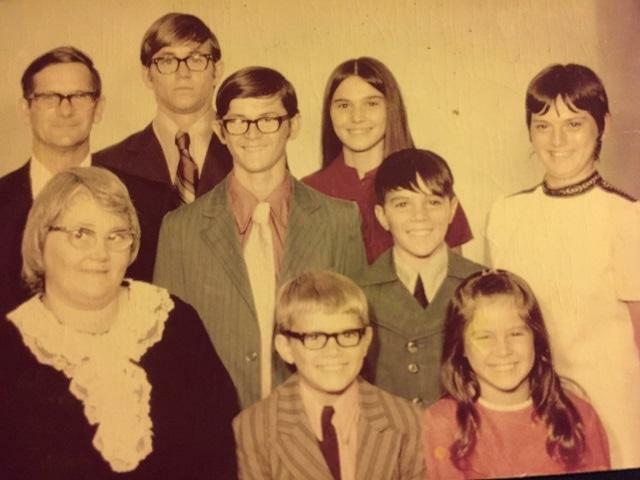 Of course, parents don’t have favorite children, but somehow my father, a father of 11, found a way to convince each one of us that next to our mother, he loved us best. I think that is why MST is such a good fit for me. Being positive and strength focused allows us to help caregivers get the best out of themselves and their children. If you have a story about your father or that special success story of a MST dad, please share it with us as we celebrate Father’s Day.